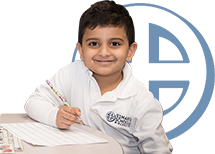 St. Mary’s School of Winchester admits students of any race, color, national and ethnic origin to all the rights, privileges, programs and activities generally accorded or made available to students at the school. It does not discriminate on the basis of race, color, national and ethnic origin in administration of its educational policies, admissions policies, scholarship and loan programs, and athletic and other school-administered programs. We do not collect any personal information unless you voluntarily provide it by sending us e-mail, participating in a survey, or completing an on-line form. Personal information submitted will not be transferred to any non-affiliated third parties unless otherwise stated at the time of collection. We may disclose the information you provide us only to those of our contractors and their employees that need your information to process it on our behalf, to provide services to you that you have requested or to contact you on our behalf. All such third parties are prohibited from using your personal information except to provide these services to St. Mary’s and they are required to maintain at least the same level of privacy protection that we maintain for your information. When a user submits personally identifiable information it is used only for the purpose stated at the time of collection. St. Mary’s will disclose your personal information, without notice, only if required to do so by law or in the good faith belief that such action is necessary to: (a) conform to the edicts of the law or comply with legal process served on St. Mary’s or our website; (b) protect and defend the rights or property of St. Mary’s; or, (c) act under necessary circumstances to protect the personal safety of users of our website or the public. Where consent for the use and disclosure of personal information is required, the school will seek consent from the appropriate person and as required by law. In the case of a student’s personal information, the school will seek the consent from the student and/ or parent depending on the circumstances and the student’s mental ability and maturity to understand the consequences of the proposed use and disclosure, unless otherwise required by law. St. Mary’s is committed to protecting the privacy of children. 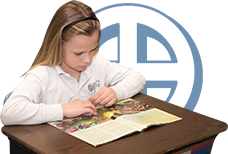 St. Mary’s does not knowingly collect personally identifiable information from any of our students If you are under the age of 18 or under the legal age of majority in your jurisdiction, you must ask your parent or guardian for permission to use our website. BY ACCESSING OUR WEBSITE, YOU REPRESENT THAT YOU THAT YOU HAVE REACHED THE AGE OF MAJORITY IN YOUR JURISDICTION. information. Whenever users submit personal information (such as contact info or credit card info) via online forms, registration, or online purchase, upon submission that information is encrypted. Servers that store personally identifiable information are in a secure environment. Under no circumstances are credit card numbers permanently stored on our website servers. Posts to discussion forums, discussion boards, comments to blogs, or alumni class notes are viewable by other users. When these areas are not in a password-protected area, they may be viewable by the general public. Please be aware of this when posting personal information in these areas.